If equal amounts of matter and antimatter had formed in the Big Bang more than 13 billion years ago, they would have annihilated one other upon meeting—and today’s universe would be full of energy but no matter to form stars, planets, and life. Observing neutrinoless double-beta decay would show that neutrinos are their own antiparticles, according to Wilkerson. If so, physicists would have to rewrite the Standard Model. Researchers have never observed neutrinoless double-beta decay, though nearly a dozen experiments have sought it. One of the keys to detecting this long-theorized form of atomic nuclear decay lies in minimizing background effects that could be mistaken for the real phenomenon. That was the key accomplishment of the MAJORANA DEMONSTRATOR. 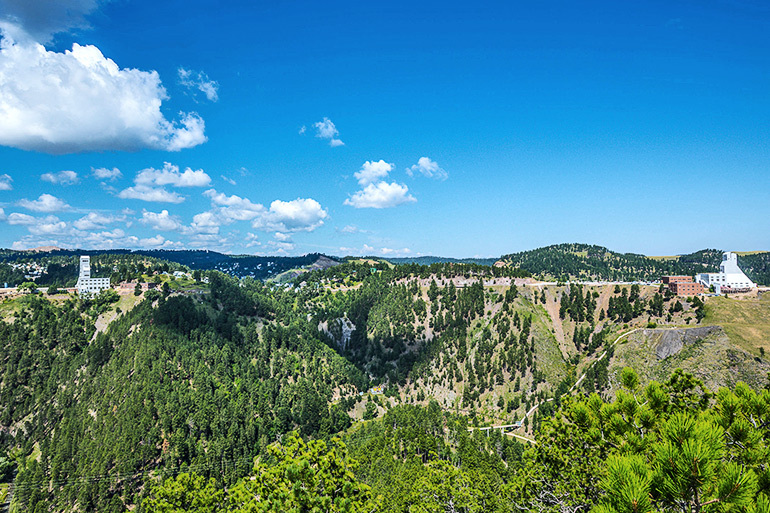 Researchers completed the experiment in South Dakota in September 2016 at the Sanford Underground Research Facility. Setting the experiment under nearly a mile of rock was the first of many steps collaborators took to reduce interference from background effects. 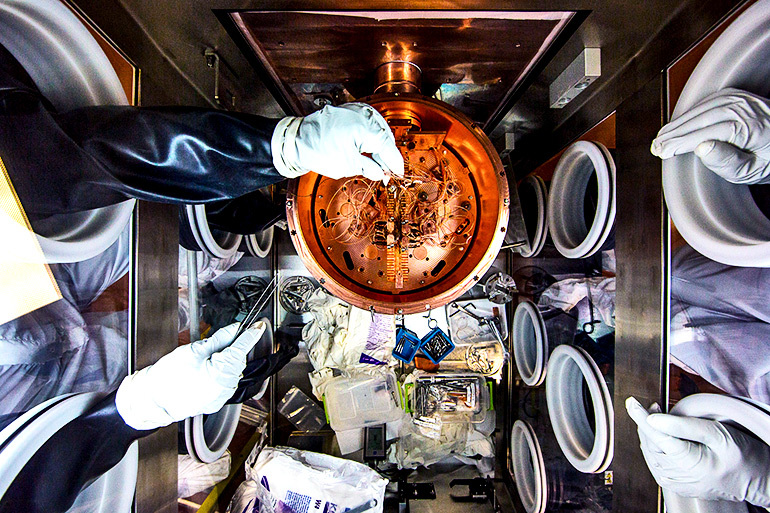 Other steps included a cryostat made of the world’s purest copper and a complex six-layer shield to eliminate interference from cosmic rays, radon, dust, fingerprints, and naturally occurring radioactive isotopes. There are many ways for an atomic nucleus to fall apart. In two-neutrino double-beta decay—a process researchers have observed—two neutrons decay simultaneously to produce two protons, two electrons, and two antineutrinos. But the MAJORANA Collaboration seeks evidence for a decay process that doesn’t emit any neutrinos. Observing neutrinoless double-beta decay would contradict a principle written in the Standard Model: The conservation of the number of leptons. Leptons are subatomic particles such as electrons and neutrinos. Many theorists believe that lepton number is actually not conserved, and that the neutrino and the antineutrino are really the same particle spinning in different ways. Italian physicist Ettore Majorana introduced this concept in 1937, predicting the existence of particles that are their own antiparticles. The MAJORANA DEMONSTRATOR uses germanium crystals as both the source of double-beta decay and the means to detect it. The scientists distinguish between two-neutrino and neutrinoless decay modes by their energy signatures. The MAJORANA DEMONSTRATOR has shown that the neutrinoless double-beta decay half-life of germanium-76 is at least 1025 years—15 orders of magnitude longer than the age of the universe. That’s a long time to wait. “We get around the impossibility of watching one nucleus for a long time by instead watching on the order of 1026 nuclei for a shorter amount of time,” says cospokesperson Vincente Guiseppe of the University of South Carolina. Chances of spotting a neutrinoless double-beta decay in germanium-76 are no more than 1 for every 100,000 two-neutrino double-beta decays, Guiseppe says. But using detectors containing large amounts of germanium atoms increases the probability of spotting the rare decays. Between June 2015 and March 2017, the scientists didn’t observe any events with the energy profile of neutrinoless decay, an absence that they expected given the small number of germanium nuclei in the detector. But they were encouraged to see many events with the energy profile of two-neutrino decays, verifying the detector could spot the observed decay process. The MAJORANA Collaboration’s results coincide with new results from GERDA, a parallel experiment in Italy. “The MAJORANA DEMONSTRATOR and GERDA together have the lowest background of any neutrinoless double-beta decay experiment,” says David Radford of the Oak Ridge National Laboratory. 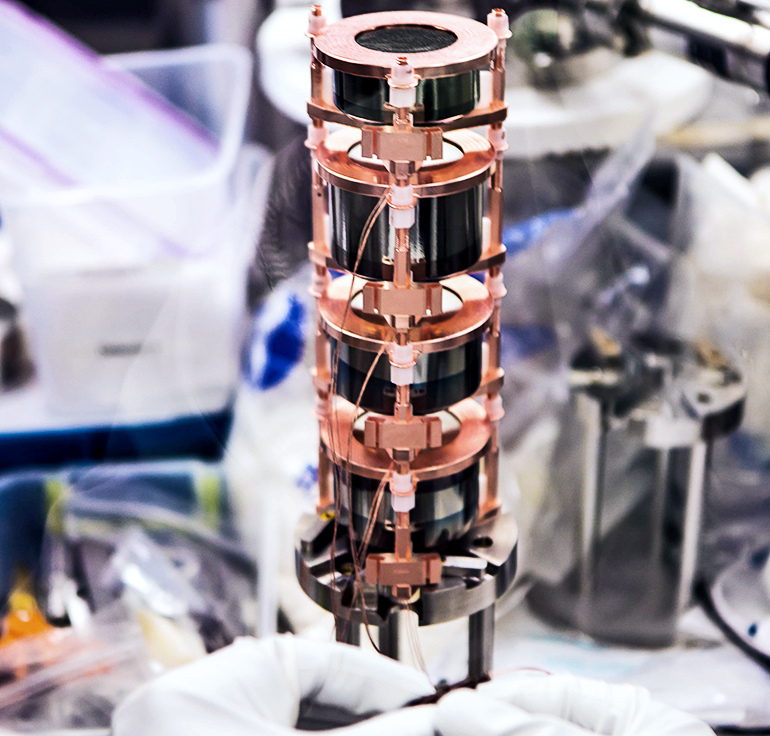 Researchers designed the DEMONSTRATOR to demonstrate that backgrounds can be low enough to justify building a larger detector. The MAJORANA DEMONSTRATOR will continue to take data for two or three years. Meanwhile, a potential merger with GERDA is in the works to develop a one-ton detector called LEGEND. “This merger leverages public investments in the MAJORANA DEMONSTRATOR and GERDA by combining the best technologies of each,” says LEGEND cospokesperson Steve Elliott of Los Alamos National Laboratory. Scientists hope to start on the first stage of LEGEND by 2021. The researchers report their findings in the journal Physical Review Letters. Funding came from the US Department of Energy Office of Science and the National Science Foundation.